Bacon, lettuce, and tomato sandwiches definitely make my list of top 10 favorite foods. They are quick and easy to make, cheap, and very adaptable, as you will see below. Perfection in a sandwich, in my humble opinion. The trick to making a really good BLT, in my opinion, is to make sure that you use the highest quality ingredients possible. 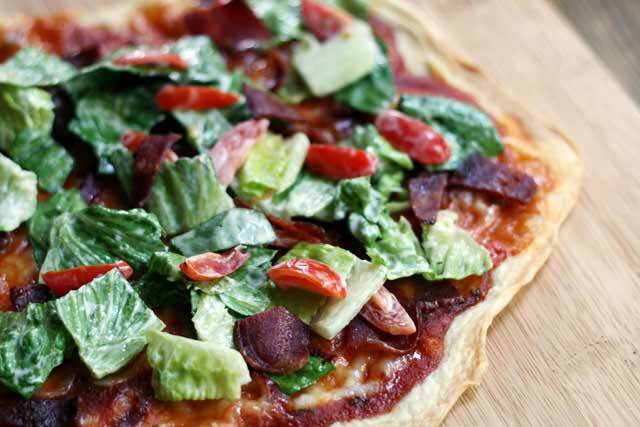 Use quality bread, tomatoes, and lettuce – and don’t skimp on the bacon. I prefer to bake the bacon instead of fry it for a BLT sandwich. This will yield bacon that is crisp but not greasy, and perfectly formed to lay flat on the sandwich. It’s easy to feed a big group of people on a budget by making BLTs. All you need is a loaf of bread and toaster, sliced tomatoes, lettuce, and a jar of mayonnaise. This is my family’s go-to summertime meal when we don’t want to heat up the house by cooking inside. Also, experiment with other types of bread (such as multi-grain, sourdough, foccacia or even a croissant) and different types of lettuce other than traditional iceberg (such as romaine or arugula). If you have other ideas, please share them below!